If you tell a lie big enough and keep repeating it, people will eventually come to believe it." - Joseph Goebbels (Jewish Virtual Library, American- Israeli Cooperative Enterprise). There are two reasons why people perpetuate a lie, even if they are not the original creators of it. Some do it out of ignorance or carelessness. Others do it deliberately with full knowledge. Sometimes it is difficult to determine whether facts are falsified deliberately or out of ignorance. Whatever the case, it is important to set the record straight when distortion of facts perpetuate a lie, especially when the lives of human beings are at stake. A June 3 Boston Globe OpEd authored by Paul Offit, M.D. is littered with factual errors that perpetuate pharmaceutical industry-created myths, which have been used for two decades to persuade Congress to pass laws shielding vaccine makers from liability for vaccine injuries and deaths, while giving drug companies huge financial incentives to develop vaccines and lobby for vaccine mandates. Offit blames parents of DPT vaccine injured children seeking financial support for their children for driving drug companies out of the vaccine business. He does this even though he knows perfectly well there are more drug companies producing childhood vaccines today than in 1982. Offit also blames parents of vaccine injured children for vaccine shortages even though he knows the main causes for vaccine shortages rest with the vaccine manufacturers themselves: production problems affecting distribution, incomplete compliance with FDA standards, and inaccurate predictions for public demand for a vaccine. Offit further attempts to rewrite medical history by alleging that DPT vaccine does not cause brain damage. He does this even though he knows (1) the largest case controlled study ever conducted to investigate causes of brain damage in children, the 1981 British National Childhood Encephalopathy Study, concluded that the pertussis (whooping cough) portion of DPT vaccine causes acute brain inflammation and permanent brain damage; and (2) the Institute of Medicine agreed with that conclusion in 1994. Although the federal vaccine injury compensation program (VICP) created by Congress in 1986 was not designed to function as the judge of whether a causal relationship between a particular vaccine and health outcome has been scientifically proven to exist - only to determine whether a child's injury could be reasonably presumed to be related to vaccination in the absence of a more plausible explanation - it is important to note that the vast majority of vaccine injury awards in the VICP have been for children suffering DPT vaccine brain injuries and deaths. Offit's attempt to exonerate DPT is part of a larger effort to convince the public - and drug company stockholders - that most vaccines, including his own, have no risks whatsoever. A relatively small group of individuals worldwide personally profit from patents on childhood vaccines . However, a much larger group of individuals in the medical, research and public health professions in society benefit personally and professionally from government recommendations for universal use of many vaccines, recommendations that are subsequently turned into state vaccine mandates which generate millions, even billions, of dollars for vaccine manufacturers. Vaccine apologists and profiteers have a right to voice their opinions and legally make money in America's free enterprise system. However, their opinions should be put into proper perspective and the "facts" they use to aggressively promote widespread use of multiple vaccines and advocate one-size-fits-all vaccine policies should be verified before they become urban legend. When the public trusts blindly, often what is most at risk is the truth. 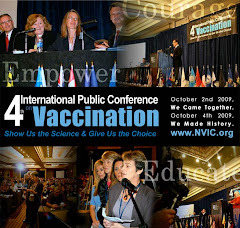 The National Vaccine Information Center is committed to disseminating information about vaccines and infectious diseases in order to prevent vaccine injuries and deaths through public education and defend the informed consent ethic. Following is information about several myths being perpetuated by those who should know better, as well as a chronology of events between 1982 and 2007 that set the record straight. MYTH #1: DPT vaccine injury lawsuits in the 1970's and 1980's drove most drug companies making vaccines out of US market; or specifically, as Offit states in the June 3, 2007 Boston Globe Op Ed, " at the beginning of the 1980's, 18 companies made vaccines, by the end of the decade, only four were left." FACT: In 1982, there were four drug companies making and selling vaccines for children in the U.S.: Merck, Wyeth, Lederle and Connaught. In 2007, after two decades of mergers and acquisitions, there are six drug companies making and selling vaccines for children in the U.S.: Merck, Wyeth, Sanofi Pasteur, GlaxoSmithKline, MedImmune and Novartis. Foreign companies, like Australia's CSL Biotherapies, are poised to enter the lucrative US vaccine market soon. There are more than 200 vaccine trials in various stages worldwide and most vaccines being developed will be targeted by CDC officials and drug company lobbyists for widespread use in order to guarantee stockholder profits for vaccine manufacturers. MYTH #2: Because DPT vaccine injury lawsuits in the 1970's and 1980's drove drug companies out of the US market, vaccine shortages occurred and continue to occur; specifically, Offit blames "the legacy of pertussis litigation" for shortages of tetanus vaccine "in 1998," pneumococcal (Prevnar) vaccine "beginning in 2000" and influenza vaccine "between 2003- 2004." FACT: In a 2002 Government Accounting Office (GAO) investigation and report,"Childhood Vaccines: Ensuring an Adequate Supply Poses Continuing Challenges," the threat of vaccine injury lawsuits was not listed among reasons for vaccine shortages in the U.S.. Instead, the GAO identified primary reasons as (1) manufacturing production problems; (2) calls by immunization policy-making bodies to remove a preservative from vaccines as a precautionary measure; (3) a manufacturer's decision to cease production of some vaccines; and (4) greater than- expected demand for a vaccine that had recently been added to the immunization schedule. Almost all of the vaccine shortages that the U.S. has experienced have been due to vaccine manufacturer production and government regulation compliance problems. Dr Offit should be well aware of reasons for vaccine shortages in the past decade because he was publicly identified as a member of the CDC's Advisory Committee on Immunization Practices (ACIP) from 1998 to 2003. The shortage of adult tetanus vaccine occurred in early 2001, not 1998, when Wyeth-Lederle abruptly announced it had stopped production of tetanus-toxoid containing products, as well as DTaP vaccine. The 2002 GAO report revealed Wyeth had been planning to leave the DTaP and tetanus vaccine market but accelerated its departure when it realized it would have problems responding to FDA requirements to make "significant upgrades to its facilities where tetanus toxoid was manufactured." In addition, in August 2001, Merck temporarily suspended operations in one of its facilities manufacturing MMR and Varicella (chicken pox) vaccines to address issues raised by FDA inspectors during a plant inspection and to make scheduled modifications to its facility. According to the 2002 GAO report, the time it took to make plant modifications and difficulties in meeting FDA manufacturing requirements contributed to shortages of MMR, varicella, DTaP, and Td vaccines between the end of 2001 and summer of 2002. The shortage of pneumococcal vaccine in 2001- 2002, occurred when Wyeth-Lederle aggressively promoted its vaccine after FDA licensure in 2000 but failed to correctly predict public demand for the vaccine that made Prevnar the best selling new pharmaceutical product in 2001. Although failure of supply to meet demand was the main reason for the shortage, the 2002 GAO report added ""the company's production of the vaccine was also hampered by ongoing manufacturing problems" and "changes made in the company's quality assurance procedures" to comply with FDA standards. The shortage of influenza vaccine in 2003-2004 and flu-related deaths resulted when a more severe type of influenza circulating that year (A/Fujian) was not contained in the flu vaccine. CDC officials, who knew it but didn't tell Americans, publicized the deaths of children attributed to the Fujian flu in the fall of 2003 and urged that everyone get vaccinated, which generated a huge demand for flu vaccine that exceeded supply. MYTH #3: DPT vaccine does not cause brain inflammation and permanent brain damage; specifically Offit states that "Subsequent studies of hundreds of thousands of children showed that the risk of permanent brain damage was the same in children who had not received the vaccine as in those who had." FACT: Of all the vaccines which have been routinely used by children in the past century, the brain damaging effects of the pertussis (whooping cough) portion of DPT vaccine is among the most well documented in the scientific literature. Created in 1912, the crude pertussis vaccine basically consisted of B. pertussis bacteria killed with heat, preserved with formaldehyde, and injected into children. In the early 1940's, aluminum was added as an adjuvant and later the mercury preservative, thimerosal, was added when pertussis was combined with diphtheria and tetanus vaccines to create DPT. Pertussis vaccine was never studied in large clinical trials before being given to children in the first half of the 20th century or after it was combined into DPT and recommended for mass use by the American Academy of Pediatrics in 1947. The pertussis vaccine's ability to kill was first signaled in 1933 when T. Madsen reported two babies died within minutes of vaccination. In 1947, Matthew Brody gave detailed descriptions of two cases involving brain damage and death after pertussis vaccination. But, it was the 1948 published case study by Byers and Moll that gave the strongest warning that children were suffering brain inflammation within 72 hours of pertussis vaccination and being left with various kinds of brain damage. Forty years later, the prospective UCLA/FDA study published in Pediatrics in 1981 comparing DT and DPT vaccines would find that 1 in 875 DPT shots is followed by either a convulsion or collapse shock episode within 48 hours of vaccination. Biological mechanisms for pertussis vaccine induced brain damage center on pertussis toxin (PT), one of the most lethal toxins in nature. Pertussis toxin is a known neurotoxin, a reliable inducer of brain inflammation and brain damage, which is why it is used in lab animals to deliberately induce EAE (experimental autoimmune encephalomyelitis). Pertussis toxin is implicated in brain inflammation caused by pertussis (whooping cough) complications as well as pertussis vaccine complications. Unfortunately, pertussis toxin is also thought to be responsible for stimulating immunity which is why it remains in DPT, DTaP and Tdap vaccines.. Other ingredients in DPT vaccine, which have been associated with neuroimmune dysfunction and may interact synergistically with pertussis toxin to cause shock, brain damage or death are: endotoxin, aluminum, and mercury. After decades of reports in the medical literature that the pertussis portion of DPT vaccine was causing brain damage in some children, the large, case controlled National Childhood Encephalopathy Study was conducted in Britain and published in 1981. It confirmed a statistically significant association between pertussis vaccine or pertussis-containing vaccines (DPT) and acute brain inflammation leading to permanent brain damage. An NCES reanalysis 10 years later re-confirmed the finding. In 1994, the Institute of Medicine, National Academy of Sciences, published a report validating the conclusions of NCES, stating that " "the balance of evidence is consistent with a causal relation between DPT and the forms of chronic nervous system dysfunction in the NCES in those children who experience a serious acute neurological illness within 7 days after receiving DPT vaccine." In April 1982, before the NBC Emmy award winning documentary "DPT: Vaccine Roulette" was broadcast and alerted American parents that children were suffering brain damage after receiving DPT vaccine, there were four commercial vaccine manufacturers producing and marketing childhood vaccines: Merck, Wyeth, Lederle and Connaught. In 1982, children were given only three vaccines: live oral polio vaccine (Lederle, sole source); MMR vaccine (Merck, sole source); and DPT vaccine (Wyeth, owned by American Home Products; Lederle, owned by American Cyanamid; and the Canadian corporation, Connaught shared the DPT market). 1982-1984: A series of congressional hearings were held in the U.S. Senate Committee on Labor and Human Resources on DPT vaccine safety. June 1984: Wyeth announced it was no longer going to produce and sell DPT vaccine, leaving the market to Lederle and Connaught. Merck, Lederle and Connaught increased pressure on Congress to pass legislation shielding them from liability by suggesting that if they were not protected, they would leave the nation without a vaccine supply. December 1984: The CDC announced an emergency shortage of DPT vaccine and blamed it on the fact Wyeth abruptly ceased production of DPT due to DPT vaccine injury lawsuits. However, in testimony before the U.S. House Energy and Commerce Subcommittee on Health and the Environment, the vice president of Wyeth testified that the company was producing more vaccine in 1984 than it had in 1983 and planned to produce still more in 1985 because it was selling all of its pertussis vaccine to Lederle for Lederle to distribute. When questioned, federal health officials claimed they didn't know Wyeth was doing that. February 1985: The book DPT: A Shot in the Dark by Coulter & Fisher was published by Harcourt Brace Jovanovich, documenting scientific evidence for DPT vaccine-induced brain and immune system dysfunction and included more than 100 new original case histories. The book would eventually be used by the Institute of Medicine as a reference for its 1991 report "Adverse Effects of Pertussis and Rubella Vaccines," which confirmed a causal relationship between DPT vaccine and acute encephalopathy. 1985: The FDA gave a license to Praxis Biologicals for the first HIB vaccine for use in 24 month old children and, shortly after, Lederle and Connaught also were given licenses to manufacture HIB vaccine. 1985: More than 200 lawsuits were pending in US courts against DPT vaccine manufacturers and pediatricians for DPT vaccine injury but most lawsuits continued to be settled on the courthouse steps for modest sums, after which all records were sealed from public view. Under pressure from drug companies and pediatricians to ensure the vaccine supply, Congress continued to hold hearings on a proposed federal vaccine injury compensation program. The program would provide a no-fault, expedited, less adversarial alternative to a court trial for families of catastrophically injured vaccine victims. July 1986: After justifying a 10,000 percent in DPT vaccine prices to Congress by blaming it on DPT vaccine injury lawsuits, a July 25 hearing of the House Subcommittee on Health and the Environment heard charges that Lederle told the Securities and Exchange Commission, Wall Street and prospective investors that DPT vaccine injury lawsuits pose no risk of "material adverse effect" on the company. A US House Subcommittee report revealed $16.2 million was paid in settlements by US vaccine manufacturers to 52 children injured by all childhood vaccines (DPT, MMR and polio) during the previous five years, which worked out to an average of $300,000 per case. Out of the 15 cases that went to jury trial, the manufacturers won four cases, lost six and five were on appeal. 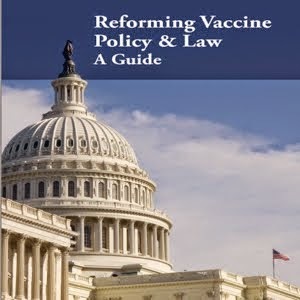 November 1986: President Reagan signed the National Childhood Vaccine Injury Act creating the federal Vaccine Injury Compensation Program (VICP), the National Vaccine Program, and instituting safety provisions in the mass vaccination system which required doctors to give parents benefit and risk information before vaccination; to report serious health problems following vaccination to a centralized federal Vaccine Adverse Events Reporting System (VAERS); to write down serious health problems following vaccination in a child's permanent medical record; and to keep a permanent record of all vaccines and lot numbers administered. Under the law, the VICP would use a Table of Compensable Events to determine whether a child's injury would automatically be presumed to be vaccine-related in the absence of a more plausible explanation. A provision in the law required the National Academy of Sciences, Institute of Medicine, to assemble physician committees to review the medical literature for evidence that vaccines can cause injury and death. 1987: Wyeth and Ayerst merged into Wyeth- Ayerst. December 1987: The FDA gave a license to Connaught for a conjugate HIB vaccine. 1988: The FDA gave Lederle a license for a conjugated HIB vaccine and the CDC recommended universal use of conjugate HIB vaccine for all children at 18 months. 1989: The British drug company, SmithKline Beecham (SKB), entered the lucrative US vaccine market and the FDA licensed SKB's genetically engineered hepatitis B vaccine. 1989: The FDA gave Merck a license for conjugated HIB vaccine. 1989: Praxis Biologicals was acquired by American Cyanamid to create Lederle- Praxis. 1989: The French Merieux Institute acquired Connaught Lab of Canada and became Pasteur Merieux. January 1991: The CDC recommended the universal use of HIB vaccine and hepatitis B vaccine for all infants. December 1991: The FDA gave Lederle a license for acellular DTaP vaccine for the fourth and fifth booster doses for children 18 months and older and, in 1992, Connaught received a license for acellular DTaP vaccine for booster doses. January 1993: A unanimous US 4th Circuit Court of Appeals decision affirmed the right of seven adults and children who contracted polio from the oral polio vaccine between 1979 and 1987 to recover damages from the federal government because the FDA permitted vaccine manufactured by Lederle Labs to be released to the public even though the vaccine failed to meet FDA safety standards. 1993: The Vaccines for Children Program was established by Congress, which allocated federal funds to provide CDC recommended vaccinations for all children, without regard for ability to pay. Vaccine tracking systems were created. 1994: Wyeth-Ayerst acquired American Cyanamid and its subsidiary Lederle-Praxis to form Wyeth- Lederle. 1994: The Institute of Medicine published two congressionally mandated reviews of the medical literature, "Adverse Events Associated with Childhood Vaccines," which confirmed that vaccines can cause chronic brain and immune system dysfunction and death; and "DPT Vaccine and Chronic Nervous System Dysfunction," which confirmed a reanalysis of the findings of the 1981 landmark British National Childhood Encephalopathy Study (NCES). IOM concluded that "the balance of evidence is consistent with a causal relation between DPT and the forms of chronic nervous system dysfunction in the NCES in those children who experience a serious acute neurological illness within 7 days after receiving DPT vaccine." March 1995: The FDA gave Merck a license for live varicella zoster (chicken pox) vaccine. 1995: The FDA gave SmithKline Beecham a license for the first hepatitis A vaccine. 1995: Public health officials at the Department of Health and Human Services, with the assistance of the Department of Justice officials, change the Table of Compensable Events in the VICP to reduce the numbers of children automatically awarded compensation under the Table; from this point on, almost all vaccine victims would be required to meet a higher causation standard for presumption in order to obtain an award in the VICP. 1996: The FDA gave Wyeth-Lederle and Pasteur Merieux licenses for their acellular DTaP vaccines for use in infants two months and older. July 1996: The CDC recommended all 12-18 month old children receive varicella zoster (chicken pox) vaccine. 1997: The FDA gave a license to a new vaccine manufacturer to enter the US market, North American Vaccine, for DTaP vaccine and gave SmithKline Beecham a license for DTaP. 1998: Andrew Wakefield, M.D. and colleagues in Britain published a study presenting clinical evidence for an association between MMR vaccine, intestinal bowel dysfunction and autism. 1998: The CDC recommended acellular DTaP vaccine for all five doses to replace whole cell DPT. August 1998: The FDA gave a license to Wyeth- Lederle for the first live rotavirus vaccine (monkey- human hybrid virus) and the CDC recommended it for universal use in all infants in early 1999. 1999: Pasteur Merieux merged with Aventis to become Aventis Pasteur. May 1999: U.S. House Committee on Criminal Justice, Drug Policy and Human Resources of the Government Reform Committee helds a hearing on hepatitis B vaccine immune and brain dysfunction. June 1999: The CDC recommended exclusive use of inactivated polio vaccine (IPV) for infants and children, to replace the live oral polio vaccine (OPV) that can cause vaccine strain polio in a vaccinated person or someone who comes into close contact with a recently vaccinated person's body fluids. July 1999: The FDA and EPA jointly advised the vaccine manufacturers to remove thimerosal (mercury) preservatives from childhood vaccines as a precautionary measure after a congressionally mandated review of mercury in products revealed cumulative exposures from childhood vaccines that exceeded EPA guidelines. July 1999: The CDC announced recommendations for use of rotavirus vaccine in infants was suspended due to reports of bowel obstruction in infants. Wyeth- Lederle withdraws the vaccine from the market in the fall. August 1999: The U.S. House Government Reform Committee, chaired by Congressman Dan Burton, held the first of a several year series of investigative hearings on vaccine safety issues, including vaccines and autism. August 1999: The FDA gave a license to Merck for thimerosal-free hepatitis B vaccine and thimerosal-free HIB vaccine and gave SmithKlineBeecham a license for a trace thimerosal hepatitis B vaccine in March 2000. 2000: SmithKline Beecham merged with Glaxo Wellcome to become GlaxoSmithKline. February 2000: The FDA gave Wyeth- Lederle a license for the first 7-valent pneumococcal vaccine (Prevnar) and in June 2000 the CDC recommended it for universal use in all infants. January 2001: Wyeth-Lederle abruptly announced it had stopped production of tetanus-toxoid containing products, as well as DTaP vaccine, leaving the market to Aventis Pasteur and GlaxoSmithKline. As a result, adult tetanus vaccine lagged behind demand between 2001-2002, temporarily resulting in Td shortages. The 2002 GAO report revealed the reasons behind Wyeth- Lederle's action: the company had been planning to leave the DTaP and Td market but accelerated its departure when it realized it would be difficult "to respond to requirements set forth in a consent decree with the federal government. To comply with these requirements, the company faced making significant upgrades to its facilities where tetanus-toxoid was manufactured." 2001: An hypothesis entitled Autism: A novel form of mercury poisoning by Sallie Bernard and others is published in Medical Hypothesis. 2001: Wyeth-Lederle's Prevnar vaccine became the number one best selling new pharmaceutical on the US market. However, Prevnar supply shortages occurred because Wyeth-Lederle had aggressively promoted the vaccine before and after licensure while failing to gauge public demand so supply fell far short of demand and caused temporary shortages (http://www.cdc.gov/mmwr/preview/mmwr html/mm5219a6.htm. In addition, there were significant manufacturing problems that reduced Prevnar production and release of vaccine in 2001 and 2002. A 2002 GAO report "Childhood Vaccines: Ensuring an Adequate Supply Poses Continuing Challenges" confirmed that "CDC estimates the monthly national need for this vaccine to be 1.3 million doses, but the manufacturer was only able to provide about half the needed doses during the first 5 months of 2002. Company officials said an extensive pre-education campaign resulted in record-breaking adoption of the vaccine. The company's production of the vaccine was also hampered by ongoing manufacturing problems. Changes made in the company's quality assurance procedures, partly to comply with the terms of a consent decree with the federal government, resulted in delays in the release of the vaccine. Manufacturing equipment problems also affected the manufacturer's ability to meet demand." March 2001: The FDA gave Aventis Pasteur a license for thimerosal free DTaP vaccine. April 2001: The Institute of Medicine issued a report on MMR vaccine and autism concluding that " the evidence favors rejection of the causal relationship at the population level between MMR vaccine and autistic spectrum disorders" but also stated that "the proposed biological models linking MMR vaccination to autism spectrum disorders, although far from established, are nevertheless not disproved" and urged further research be conducted. August 2001: Merck temporarily suspended operations in one of its facilities manufacturing MMR and Varicella (chicken pox) vaccines to address issues raised by FDA inspectors during a plant inspection and to make scheduled modifications to its facility. According to the 2002 GAO report, the time it took to make plant modifications and difficulties in meeting FDA manufacturing requirements contributed to shortages of MMR, varicella, DTaP, and Td vaccines between the end of 2001 and summer of 2002. September 2001: The FDA gave Chiron/Evans a license to manufacture flu vaccine with trace amounts of thimerosal. September 11, 2001: Terrorists destroyed the World Trade Center in New York City. Within weeks, DOD officials suggested terrorists had weaponized smallpox and anthrax that could be used to attack and infect large numbers of Americans. In the name of national security, eventually drug company and government officials persuaded Congress to pass legislation (Homeland Security, MSEHPA, Bioshield, BARDA) giving sweeping new emergency powers to federal and state public health officials while appropriating billions of dollars to develop experimental bioterrorism and pandemic flu vaccines. At the same time, Congress yielded to drug company lobbyists and public health officials seeking liability shields for drug companies and vaccine administrators to absolve them from legal responsibility for vaccine injuries and deaths that occur in the future when the Secretary of Health declares a public health "emergency" and orders mass use of experimental vaccines. October 2001: The Institute of Medicine issued a report on thimerosal-containing vaccines and neurodevelopmental disorders which concluded that the hypothesis, while not proven, is "biologically plausible" and called for further research. February 2002: GlaxoSmithKline ceased manufacture and distribution of Lyme disease vaccine, citing insufficient market, after adults and children injured by Osp-A Lyme vaccine speak out about their reactions. 2002: American Home Products changed its name to Wyeth. September 2002: The FDA gave Aventis Pasteur a license to manufacture a thimerosal-free influenza vaccine. June 2003: The FDA gave a license to MedImmune for the first live virus nasally administered influenza vaccine (FluMist). October 2003: The CDC recommended that children 6 to 23 months of age receive an annual flu vaccination. 2003-2004: A mini-epidemic of a more severe type of influenza caused by the A/Fujian strain occurred around the world, including the U.S. In spring of 2003, federal health agencies and the pharmaceutical industry knew the genetically mutated type A flu was emerging out of Asia and causing significant complications, including death, but chose not to include it in the 2003/2004 flu vaccine formula after the WHO voted to stay with strains that had been included in the previous year's formulation (A/Panama, A/Caledonia and B/Hong Kong). Without informing the public that the flu vaccine did not contain the strain of flu causing severe flu that season, the CDC heavily publicized child flu deaths in the fall of 2003 and Americans stood in long lines that fall and winter to get flu vaccine, which caused a vaccine shortage and subsequent CDC-recommended rationing of flu vaccine supplies. (http://www.nvic.org/History/Newsl etters/%203770Reaction.pdf). The FDA stated that "between October 2003 and early January 2004, the deaths of 93 children younger than 18 had been reported to the CDC, according to preliminary data" and eventually the CDC would state that 152 flu related deaths occurred in children younger than 18 that year. May 2004: The Institute of Medicine published a report rejecting a causal relationship between thimerosal containing vaccines and autism, concluding that hypotheses generated to date concerning biological mechanisms for vaccine induced autism are theoretical only. The IOM Committee discouraged further scientific research into the vaccine-autism association. Summer 2004: Influenza vaccine manufactured by the British Chiron Corporation, which provides about half the inactivated influenza vaccine for the U.S., was found to be contaminated with bacteria. There was a flu vaccine shortage in the US during the 2004-2005 season as a result. 2004: Aventis Pasteur merged with Sanofi to become Sanofi-Pasteur and one of the world's largest pharmaceutical companies. October 2004: Two professors from the Harvard School of Public Health published an article in the Journal of the American Medical Association, stating "We independently searched reported jury verdicts and judicial decisions for cases involving flu vaccine and found only 10 reported cases in the last 20 years.....overall there is little evidence of significant litigation involving the flu vaccine....by all appearances the situation is not one in which a rational observer would conclude that litigation is a substantial burden on manufacturers." October 2004: US District Court Judge Emmet Sullivan issued an injunction blocking DOD from ordering US soldiers receive anthrax vaccine without their informed consent, citing the reactive anthrax vaccine's "experimental" status because the FDA had never licensed it as effective for use against weaponized inhalation anthrax. [DOD would subsequently get around the injunction by requesting the Secretary of Health and Human Services utilize recently acquired Project Bioshield powers and issue an "Emergency Use" authorization]. December 2004: FDA gave Sanofi Pasteur a license for thimerosal-free influenza vaccine. January 2005: The FDA gave Sanofi- Pasteur a license for a new meningococcal and diphtheria toxoid conjugate vaccine (Menactra) and in May 2005, the CDC recommended it for all 11-12 year old children. April 2005: Evidence of Harm by David Kirby was published by St. Martin's Press, presenting documentation for an association between mercury containing vaccines and autism. May 2005: The FDA gave GlaxoSmithKline a license for Tdap for use in children 10 to 18 years old and in June gave Sanofi Pasteur a license for Tdap for persons 11 to 64 years old, after which the CDC immediately recommended Tdap be given to all 11-12 year old children. October 2005: The CDC recommended that all 12 month old infants routinely receive hepatitis A vaccine. March 2006: The FDA gave Merck a license for the first HPV vaccine (GARDASIL) and in June 2006 the CDC recommended it for all 11 year old girls. May 2006: The FDA gave a license to Merck for herpes zoster (shingles) vaccine and in October 2006 the CDC recommended it for use by all Americans aged 60 and older. By 2007 American children were being told by government health officials and pediatricians to get 48 doses of 14 vaccines by age six and 53-56 doses of 15 or 16 vaccines by age 12. In May 2007, CNN Money reported predictions that vaccine industry sales will more than double by 2010. Myth #1 - All Vaccines are safe for Adults and Children. "Since I vaccinated all of my children and nothing happened, nothing will happen to yours." Fact #1 - No two Humans are a like and what is good for one, may not be good for the other. What a fantastic website! Please continue your important work. my baby is 9 months old and she will not be getting any more vaccines. May GOD help us all from all this gready people that make money out of people dying. and if I every have another child they will never receive any. I hope more parents get concerned about the rise in autism. I tell every parent I know to really look into vaccinations and don't just go by what a doctor tells you should do. If any oparent wants to read a good book about a bot with autism and what it does to a family read " A wild ride up the cupboards." by Ann Bauer. its a wonderful book. My son was a sweet content infant in 1994. All of that changed after his DPT shot. I never made the connection then, and "did as I was told" and kept up with the required shots poisioning my child. At thirteen, he has been labled everything from asperger's to PDD NOS to Scizophrenic. Life will always be a struggle for him, and he's one of the luckier ones. When my son was almost 4 month old, he received a second round of required vaccines and Hib. Within 24-36 hours he developed high fever of 102.3, became lethargic, lost his previous bubbling abilities and the motion of his eyes. To put it plainly,even it sounds harsh, he looked retarded. It lasted for about six weeks, after that he was coming back very slowly. I believe he developed mild form of meningitis. Needless to say, after that experience, we stopped to vaccinate him.Now,he is 3 years old happy and healthy boy.Goes to doctor for annual checkups only.Thanks to GOD.